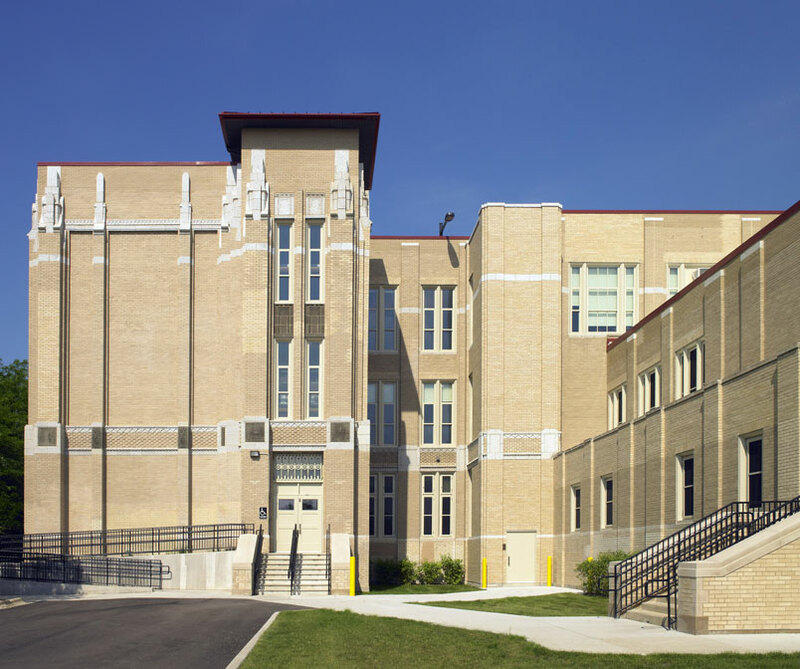 AltusWorks is the Architect of Record for a School Improvement Project at an existing public elementary school on a fast-track schedule. The original three-story brick masonry building was built in 1930 and located in the Belmont-Craigin neighborhood. It is comprised of blonde brick walls ornamented with sculpted terra cotta spandrel panels and trim. 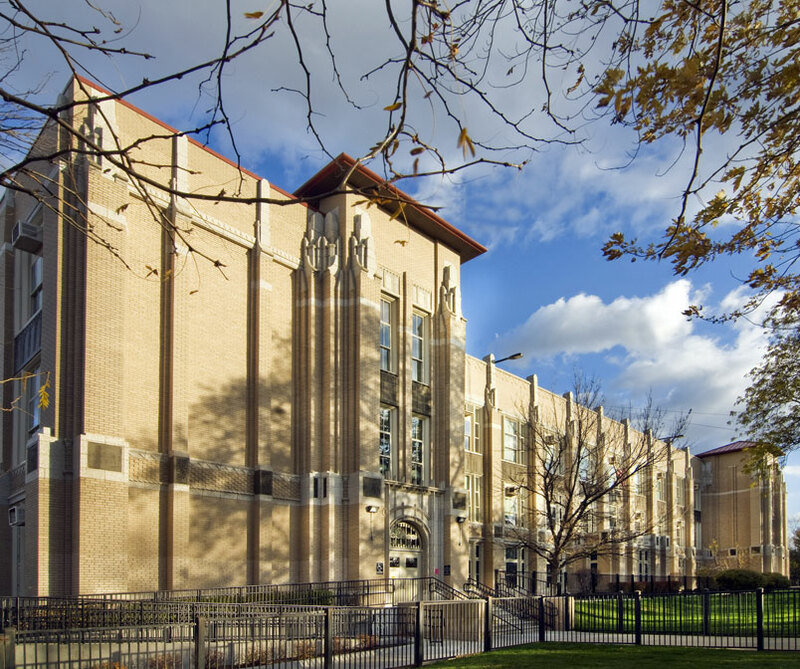 It is identified as Historically Significant in Chicago’s Historic Resources Survey. The $4.6M project was intended to repair the school so that capital funds would not be needed for the next 5-10 years. As such the scope addressed deferred maintenance items, systems that have surpassed their serviceable life, code violations, and full accessibility. 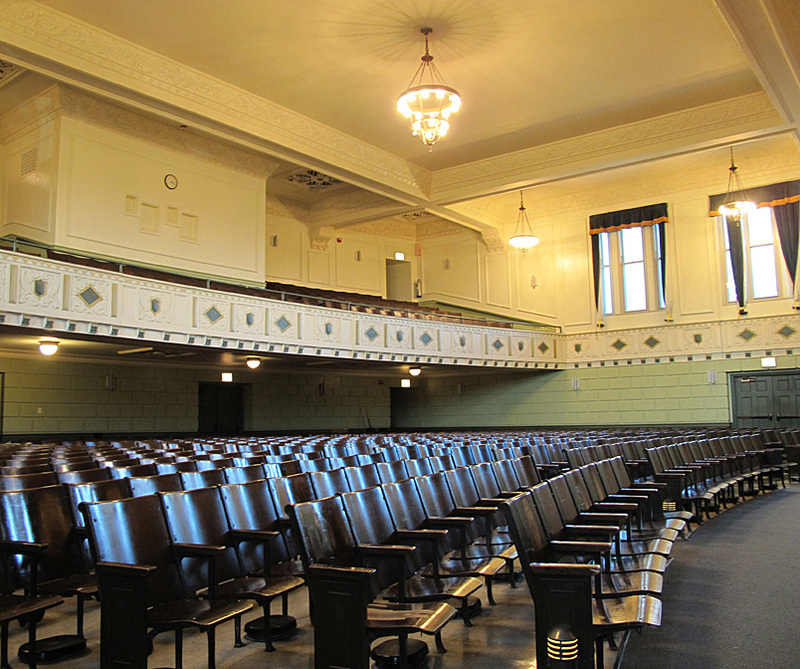 Specifically the scope included exterior masonry restoration, roof repairs and replacement, window and door replacement, emergency lighting and fire alarm system upgrades, a new emergency generator, heating system maintenance repairs, ornamental plaster and paint restoration at the auditorium, toilet room upgrades, a new elevator, and the creation of accessible routes from the parking lot to multiple entrances.